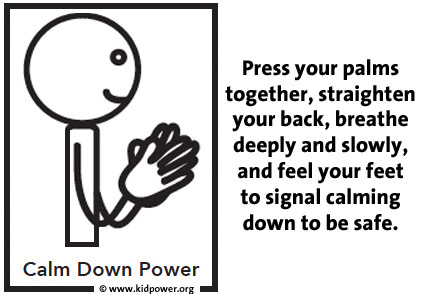 Simple gestures, words, and drawings that make it easy to teach, learn, and remember Kidpower’s key safety skills. eBook Downloads in Spanish & French! 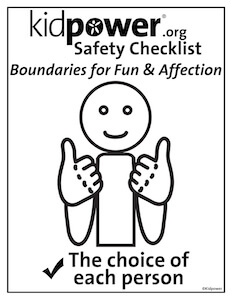 The Kidpower Safety Signals were developed as a teaching and coaching tool that can be understood around the world and used by people of all abilities. 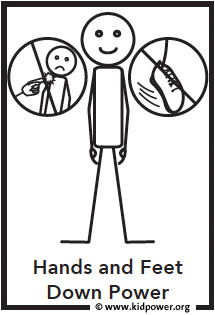 Our 30 Safety Signals ebooks are available in English, Spanish, French, and adapted for New Zealand! The ebooks and NEW! 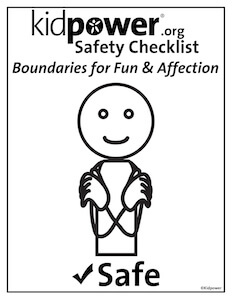 Classroom Posters cover the key interpersonal safety strategies, concepts, and skills that we teach to children, teens, and adults, including those with special needs. 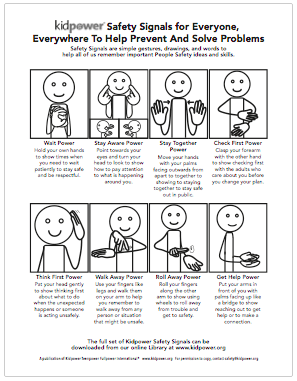 Once people have learned these ideas and skills, the Kidpower Safety Signals (with and without the words) work as reminders to coach their use in daily life. 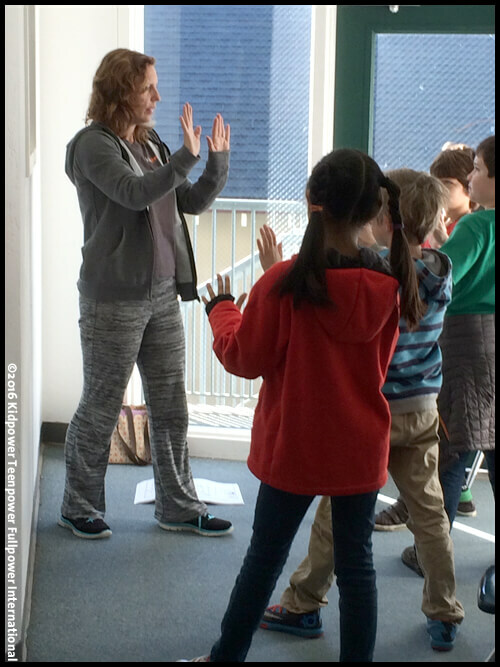 See how the Kidpower Safety Signals work in action! 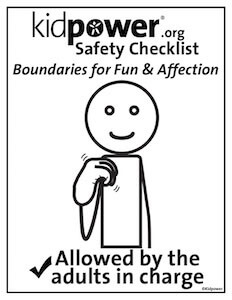 Watch videos showing adults with developmental disabilities using the Kidpower Safety Signals in making safety plans for going out; created in partnership with Hope Developmental Services. Available in English, Spanish, French, and New Zealand editions! 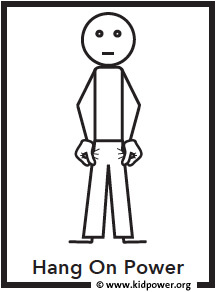 Download our 30 Safety Signals PDF in Spanish! 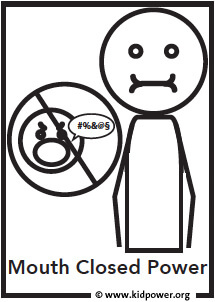 Download Our 30 Safety Signals PDF in French! 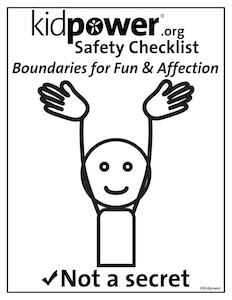 Download our 30 Safety Signals PDF for New Zealand! This version uses NZ spelling and Māori terms and prints on A4 paper size. Download now for your School, Youth Organization, Waiting Room, and Home! Download all Four (4) Posters as a PDF! Thank you to the Special Hope Foundation for the three-year pilot program funding of this ground-breaking Bridges to ‘People Safety’ Project. 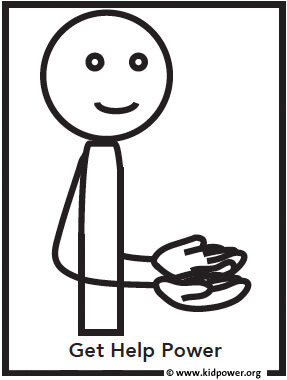 Thank you to the Cisco Systems Foundation for supporting the development of the project’s educational micro-videos.